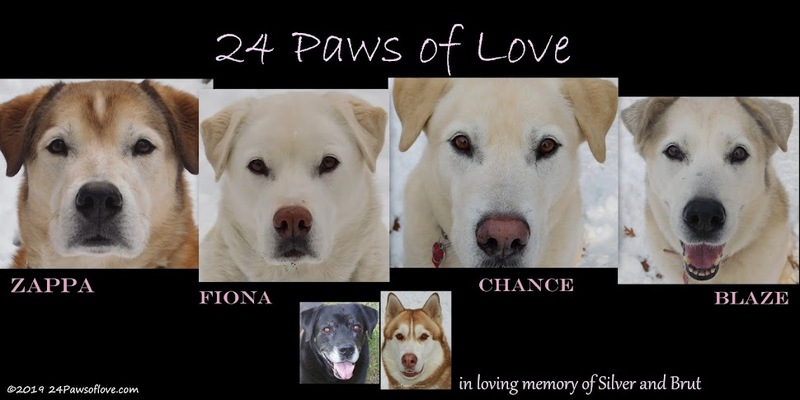 24 PAWS OF LOVE: Any Ideas?? We have this same issue with Quinn and Yo; Yo being the aggressor and dad being the "trophy" usually. 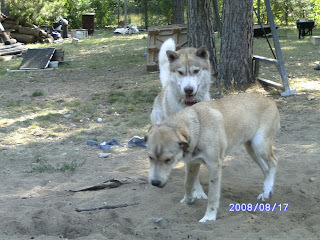 We are especially sensitive since both are rescues Yo certainly from an abuser and Quinn likely. What has worked better than most solutions is a spray bottle filled with water. The surprise of being hit by a stream of water gives enough pause to insert yourself between the two and body block (not hands but hips checks and leg pushes) the two from continuing. Of course, all the while maintaining a firm, calm "NO! Stop!" There are many ideas out there, but this has worked for us when the boys act out every couple of months. I think you might want to look into what happens AFTER the fight. Does Brut get extra attention from Dad after they're separated, whether good or bad? Do you use crates at any time? That might be a way to diffuse the situation before it starts. You might be able to use citronella spray as a deterrent. It won't harm the dog, it just smells and tastes bad. I don't know how serious or intent he and these fights are, so it's hard to say how much of a deterrent that you need. Woof! Woof! read your previous post too. I don't have that problems in my household but encountered the problem when I was at camp ... my caretaker is so great and what she does. Patience ... there are times it takes time. When I was there a month ago she was training a dog that was aggressive (like to play "bitey") A very firm strong voice especially from Dad) NO (+name) ... playing and being with one dog at a time helps out ... so give it a try. Isolating while with other dogs (make sure Brut can't see it). Three good ideas so far, and I am in the head it off and don't reward it camp. Remember, you are the pack leader. Oh boy, I wish I had some good advice for you because I certainly understand what you are going through. I used the mini fog horn in the house too, and yes it scared the crap out of everybody. The reason why the horn worked well for me was because Sherman was terrified of it, Leroy could care less. When I did have a trainer over here the suggested using a can of pennies in a jar, or throwing a chain or something by there feet, I didn't like that idea because I have bad aim and with my luck I would of hit them with it. Another thing that a few trainers talked about was NILF. The Nothing In Life Is Free training. This was a tool that really worked for. Our fights almost always happened before breakfast time so for a bit they were separated until after we fed them. Then as things started to cool down they both had rules that needed to be followed before they were fed. It seemed like if they had to obey commands before eating they knew that I was the person in charge and there was no reason left to fight. 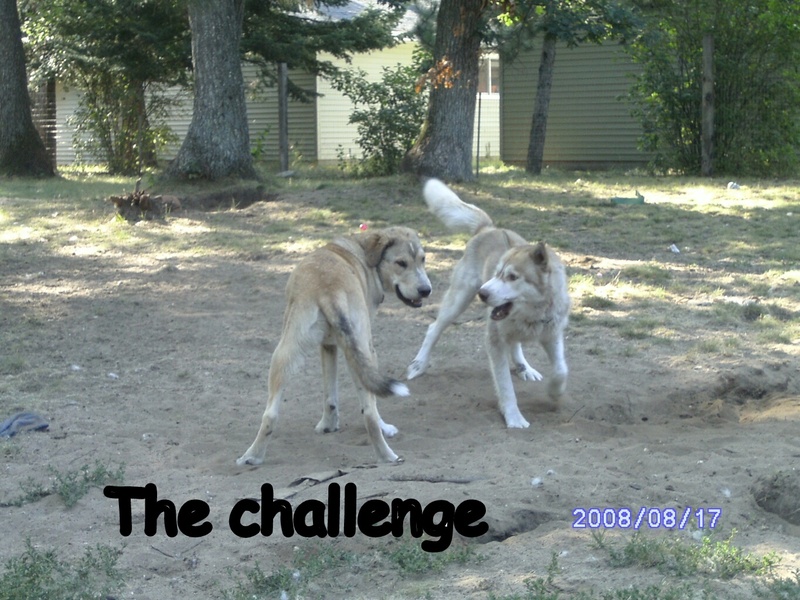 When they did fight, I was told by a trainer to always make them both submit and not to separate them after a fight, keep them in the same room together, I quickly learned that they calmed down faster this way. We have not had a fight in over a year now, but I still have my handy little fog horn! I could go on and on about this!! Sorry! When our one pup, Bandit, was "coming into her own" she would constantly challenge our alpha and snip and go after the sibling pups. It took a lot of patience (sometimes that ran short with her antics), and like Jen, we made her submit and never separated them. I wish I could say it fixed it quick. It didn't But any new learned behavior takes a minimum of three weeks...Bandit pushed it past that! Most of the time they all huddled and played and just melded together beautifully. But every once in while she would get her nerve up and challenge the others. The two siblings didn't care and they would just get out of her way, my big boy Gibson could really care less, he just ignored her, and I must say, our alpha momma Harley took it in stride, but one time she just had enough of her prodding and they went at it. My daughter & I stepped in and had to physically separate them and made them both submit to us. We held them down on the floor in a lying position with a little pressure by the neck (not hurting them) and Bandit gave 1-2-3. She rolled right over. See, she really is submissive to us, it's just this alpha-wanna-be-thing she had. But she submitted to Harley and Harley begrudgingly submitted to us! Now, Bandit follows her everywhere and when she gets a little too close and Harley will give her a good look, she automatically drops down and rolls over! So they worked it out. Now, Bandit is Harley's shadow! They even will sleep next to each other at times. The key is not to get yourself in a panic mode - they sense that right away and it just pumps their energy up through the roof. Be calm and be firm. You are the alpha and they need to respect your commands. We also were told about the pennies in the can, but I too have a horrible aim! I did do the can "shake" behind my back though and that did help. Also, a quick squirt from a water bottle. Good luck...I can tell you from my experience with time, patience, assertiveness, and repetitiveness, Bandit has done a huge change. Now, it just takes and "Oh Bandit" and she will stop. (She still gets a little possessive over all the toys, but she's not aggressive at all). Good luck and as they say, "Keep on, keepin' on!" The rewards outweigh the exasperation! We are blessed that the five are wonderful furfamily and always together. Let me just give another vote for the spray bottle of water. I have a puggle and a pitbull, both male, and the puggle is the aggressor. Jordie tends to attack Zach when toys are involved or sometimes when he gets over stimulated. Giving him a spray or two of water diffuses the situation and keeps both dogs safe. There have been a lot less attacks since I started doing this. Maybe read up on resource guarding, if your husband seems to sort of be the trigger? There's Mine! by Patricia McConnell, which is probably more about food and such but is also probably very solid in principle. Also, maybe train a specific recall for Brut? Not his name, but something that makes him come and sit by your husband specifically, so that he's still "guarding", but no longer in another dog's face and posturing? Obviously, you'd use this before the first contact of the fight is actually made, while both dogs are still below threshold. You have some really good advise, so I really can't add anything. Hopefully you'll find the right combination to work for you. Hey this is Kootenai. I have some ideas for your husband that may help out a little. The best solution with dealing with one dog being possesive of a person in your home is to seperate the dogs when the possession time is occurring. The dog you had first gets face time first. (Let the other dog watch from a crate or leashed area. 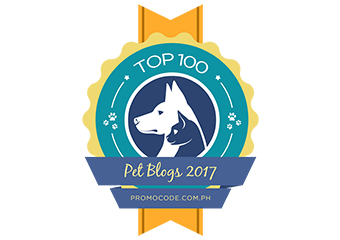 Maintaining order of affection within your home is very important for the dogs that have been in the home for a while and the newer dog. It helps them know that their environment is stable and safe. Make sure you aren't disciplining negative behavior, but rather rewarding positive behavior. (From both dogs.) 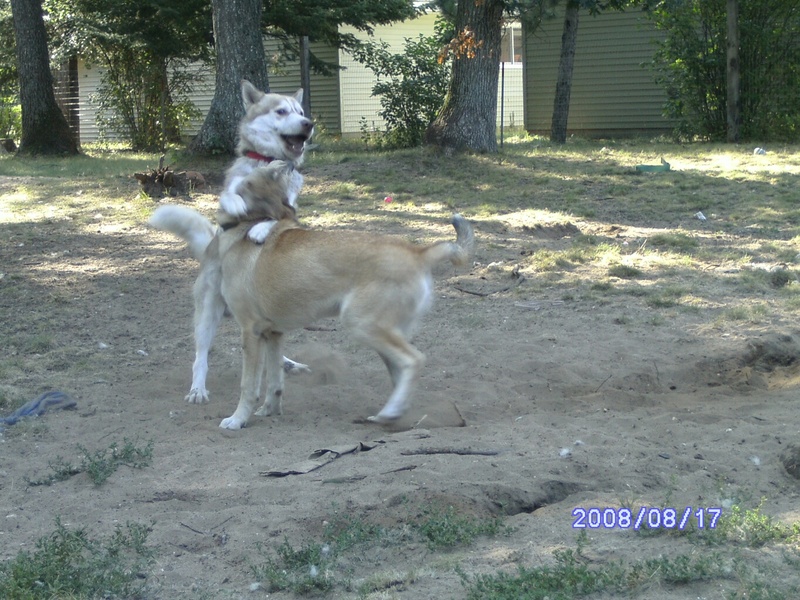 When the dogs first enter a situation of aggression, use soft words and sharp sound (not yelling) to distract them. When the dogs come apart and stop fighting you can find something postive to do with both dogs. Like alternating a fetch game or alternating teaching each dog a trick. Make sure the other dog is watching you give attention to the other. They need to know that you are the leader and the dog is allowed to be in the house and you enjoy spending time with both dogs. Hope this helps. It may or may not work depending on the dog, but my mom has had a lot of success with it. I don't know if I ever said this before, but about 10-12 years ago I went through training to become a vet asst and worked in a couple of vet's offices over the course of a year. 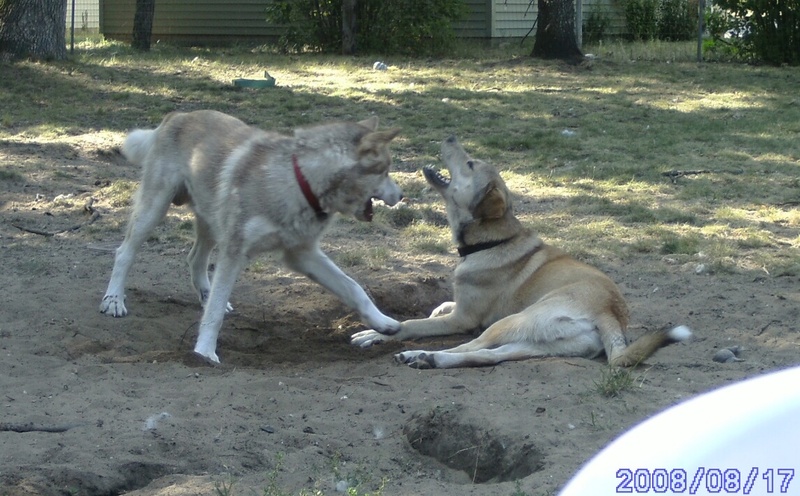 Part of what we studied was dog behavior and how to break up fights. I haven't read the above comments yet, i want to keep my mind fresh, but some of the things we were taught was that water in the face is not partularly effective, especially spray bottles because the stream is not strong enough to truly be distracting. Old school method of breaking up a dog fight is to hose them with water. She de-bunked that. What she reccomend to break up an active dog fight, is to lift the dog's back legs off the ground. The dog, first of all is only capable of thinking about one thing at a time. Secondly, the dog loses all leverage in the fight. Because you've lifted their legs completely off the ground into the air, they won't be able to whip around and bite you either. It should throw them off long enough to break up the fight. Now I can tell you when my beagle was mauled, all of my training went right out the window and I didn't remember any of that. It was just instinct to try and pry the other dog's mouth open to get MY dog out of his jaws. Finally the owner beat him with a 2x4 to get him to let go. Charlie's neck was all bloody and we went to the hospital and got him shaved down and cleaned up. Not pleasant. So, I've never had occasion to try it in a real life situation, but that's what I was taught from the expert who I trust implicitly. I would also say that prevention is worth it's weight in gold. If you know his triggers, avoid them or re-direct him. If daddy is a trigger, have him doing another activity when dad gets home. Dinner for instance, or a walk with you. Charlie was very protective of me when I first found him and would go after my cats. I would stand big and tall and walk him (by walking towards him and he'd back up)into an area- like by his bed, and stand there, big and tall and staring, getting closer and closer to him until he'd flip over and show me his belly. I'd rub it, tell him he was a good boy, tell him to stay in his bed and then give the cat one on one attention while he watched. I always fed the cats treats first and tried to show him that he was lower on the totem pole. He stopped acting out at home after a couple of months. Now, on leash is another problem, but for at home, with his own "pack" that's how I did it. Maybe there's something in there you can use or will give you an idea. Okay, I read through the comments above. It looks like the water thing is still around. You should definetly try whatever you're open and comfortable with... BUT... when I first got Charlie and he was not fixed he would go after other dogs that weren't fixed either- particuarly males. It was scary. He'd lung, bite and hold on to their skin and shake his head back and forth. I am so lucky he never actually hurt anyone/broke skin. Anyway, in that first couple of months, he got into it with another unnuetered male and some crazed lady with a squirt bottle started shooting him in the face and SCREAMING and SHRIEKING "WHOSE BEAGLE IS THAT?" and then, after she sprayed him, and he DIDNT REACT AT ALL "IT DIDN"T WORK! OMG! WHY ISN'T HE STOPPING!" It was insane. By the time I got over there, Charlie was in a full out chase around the whole yard with the other dog and about 15 other people were trying to catch him. The psycho squirt bottle lady actually wiped out on the gravel, and then I face planted going over her! Finally some guy pinned Charlie up against the fence. He was totally hysterical, heaving, crazed, and soaking wet. But juuuust as determined to keep going after that other dog. It's been 10 months since he got fixed and it's done wonders for his aggression. He still struggles if he meets another un-altered male though and has to yell at him. Brut's fixed though, right? My brother did the pennies in the can thing. He has chows and they can be nasty sometimes. He quickly got to the point where he didn't have to throw it, he'd just say, "YOU WANT THE CAN?" And his dog would stop. Sometimes he'd pick it up, and she'd freeze. So that worked for them. I was also just thinking, and you know, Brut acts like Dad is his property. I wonder if that's part of the problem. Dad is lower on the totem pole than Brut- in Brut's mind. What do you think? If he doesn't think of Dad being pack leader, and in charge of everybody, then it would make sense he would guard and protect him- like a puppy. Maybe dad needs to step up with a strong leadership presence too. I have read all the amazing comments above and think that you have some substantial advice. At the end of the day, you will have to work it out...you know the situation in detail and the dogs too. The only other thing I might add is...to make sure your dogs (or the aggressor at least) is not hurt or ill in some way. Sometimes when a dog is ailing, they can become more aggressive. The water-bottle, tin of coins ideas may work, but are often ineffective. I'm very interested in your Vet assistant's idea of lifting the dog off it's back feet (although I'd be nervous of being bitten). But the suggestion of trying to pre-empt the confrontation is very wise...if you can, avoid the triggers. Just following up on your stories about the experiences with the behaviorist. I am speechless, and just glad you got rid of her the way you did. You already have got some great advice in the comments and I am afraid there is not much that I can add. Keep the spirit high, and follow your heart.